Wallace is worth a trip for both its food and scenic attractions. Precious metals may have created the Silver Valley, but the Earth's treasures aren't its only lure. 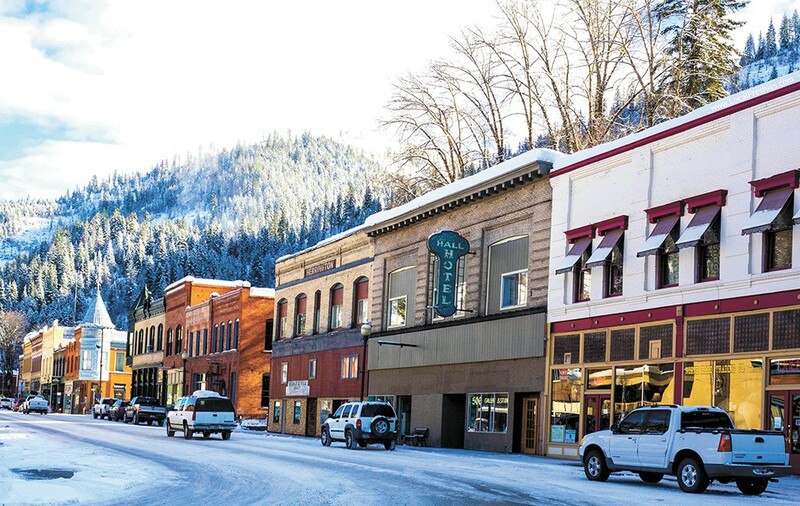 This mountainous swath of Idaho's Panhandle along a stretch of Interstate 90 includes the small towns of Pinehurst, Smelterville, Kellogg, Wardner, Osburn, Silverton, Wallace and Mullan. A more recent glimmer of opportunity, coupled with a strong desire for a change of pace, has drawn several newcomers to the region's culinary community. New owners since January 2018 of Wallace's 1313 Club - Historic Saloon and Grill, Keith Dary and Heidi Lee tell a familiar story: Both have plenty of industry experience, but got burned out. Dary is an American Culinary Federation-certified chef with 30 years under his belt, mostly in country clubs, while Lee owned a food and travel media company. The couple, recently married, wanted out of northern Arizona, so while visiting Lee's old stomping grounds in Eastern Washington last year, they contemplated relocating to the Northwest and starting a farm in Sandpoint, or a food truck. When they discovered the 1313 Club was available, the couple relocated their business interests and home — they live above the restaurant — to Wallace. Aside from creating a space to play darts, the new owners have embraced the 127-year-old building as is. "We're a saloon and grill and that's what we'll remain," says Dary, who's tweaked the comfort-oriented menu with dishes like braised short rib poutine ($10.95), meatloaf ($10.95) and chicken pot pie ($9.95). Nearby, Wallace's Blackboard Café serves weekend breakfast and weekly lunch and dinner. Owners Rob and Luanne Wuerfel were passing through town when they, too, were charmed by Wallace, which they saw as a salve to their busy lives. The couple renovated the cafe's narrow space into a cozy eatery, which opened in March 2016, with cerulean-blue walls covered in old frames, mirrors and funky artwork, and lined with grey tufted upholstered booth seating and an old wooden bar. Rob Wuerfel, who has more than 20 years experiences as an executive chef in high-end resort towns like Ketchum, Idaho, and Taos, New Mexico, has created a menu popular with locals and visitors alike for its upscale spin on classic comforts. Grilled cheese, for example, is Muenster, cheddar and Brie with tomato-bacon jam ($9), while breakfast benedicts ($11-$12) span the globe from Cuban (pulled pork) and Italian (prosciutto) to Irish (corned beef and sauerkraut). Nearby, the quaint town of Kellogg turned out to be the perfect place for another new-to-town couple to open their craft brewery. Ashley Malcolm and Fred Mehaffie, whose initials (AM and FM) inspired their business's name, opened Radio Brewing in March 2017. The couple, formerly of Colorado, sought a location with easy access to over-the-road distribution and an established, yet not overly saturated, craft beer market. Radio Brewing beers are named for popular old-time radio shows, like the Danger is a Beautiful Blonde (a reference to an episode of The Whistler), Dr. Sixgun Pale Ale and the luxurious Beyond Midnight Coffee Stout, the latter made with locally roasted coffee. The brewery's food menu features scratch-made items and baked goods, including gyro sandwiches ($10), beer bratwurst on a pretzel bun ($7), Korean-style tacos ($6.50) and burgers and paninis ($10-$13). Save room for dessert of chocolate ganache cake and homemade ice cream ($7). Radio Brewing opened in Kellogg last spring, and offers a rustic-meets-vintage vibe, with craft beers named after old-time radio programs. Although the brewery was the main push, Radio Brewing's owners put considerable effort into their tap room, which is easily one of the grooviest in the region, featuring vintage radios incorporated into furnishings — like countertops made from vintage stand-up radios — to a floor of old record albums embedded in resin inside a gold-walled bathroom. Radio Brewing isn't the only new place that may have escaped out-of-towners' radar. Although it's been around since 1927, The Hilltop in Kingston was an out-of-the-way roadhouse when Bobby Hendries stumbled upon it last year. Hendries, who was living in Seattle but working in North Idaho, discovered he knew the owners' son. Intrigued, Hendries eventually relocated his parents and himself to the area, partnered with friend and nationally known author Dan Zadra to take over and renovate the roadhouse-type restaurant, which reopened in December 2017. Try the weekend prime rib special ($24, $29) or fill up at the all-you-can-eat spaghetti feed ($12). Also in Kingston, The Snake Pit has changed hands again since Inlander readers voted it the "Best Rural Restaurant" in 2014. Like The Hilltop, the Snake Pit has a rich history: 135 years as a hotel, restaurant, cathouse and go-to for miners and loggers upon whose backs the region was built. New owners Tom Richards and Doug Johnson are pouring their energies into the landmark, which is open daily for breakfast, lunch and dinner, with entrees like chicken-fried steak ($13.95, $16.95), barbecue ribs ($21.95) and a tasty buffalo burger ($12.95). It isn't just restaurant owners who've been lured to the scenic Silver Valley. "The Idaho Tomato Lady's" Susi Faville recently condensed her 2-acre Hayden farm into a half-acre space in Pinehurst now called Pine Creek Nursery, where she grows and sells a stunning array of fruit, vegetable, berry and flower starts especially adapted to shorter growing seasons like that of the Inland Northwest. Faville's nursery is one of a handful of farms in the region, including Terratopia Gardens and Goats and artisan cheese-maker Kelly Creek Farms, both in Pinehurst, as well as Killarney Farms in Rose Lake, the latter of which many would describe as a cornerstone of the regional farming economy and culture. "You can really get a lot for your money in the Silver Valley," says Faville, who prefers driving "over the hill" on I-90 to the stop-and-go congestion of U.S. Highway 95. The Silver Valley's big draw for visitors is that it doesn't pretend to be something it isn't. The region embraces its rural, industrial history without being hokey or resort-like, yet its businesses and residents still make a concerted reach to out-of-towners. Take a tour of one of the mines, for example, to get a gritty taste of what underground life was like (goldmine-idaho.com, silverminetour.org), or ride any stretch of the Trail of the Coeur d'Alenes' 72-mile bicycle route (friendsofcdatrails.org) to appreciate nature's awesomeness. For an ideal valley day, choose one "big" thing to do — a picnic at Cataldo Mission, a play at Wallace's Sixth Street Melodrama, ziplining with Silver Streak — then diddle around in town. The season will probably determine your itinerary. In winter, Silver Mountain (silvermt.com) has skiing, boarding, tubing, special events, etc., but don't discount Lookout Ski Resort (skilookout.com) in Kellogg, which has been approved to nearly double in size. In the summer, the Coeur d'Alene River and chain lakes offer relaxed fishing, bird-watching and sightseeing, and are a boon for slowboaters and kayakers. For festivals, you can't beat Wallace's year-round calendar of events like the Snowmobile and Snowbike Grand Prixs in February, Accordion Jubilee in August, Fall for History Tour in October and Bratfest in November. The Silver Valley Chamber of Commerce is a one-stop-shop for events (silvervalleychamber.com), such as April's Rod Run in Kellogg and the July Demolition Derby in Smelterville. 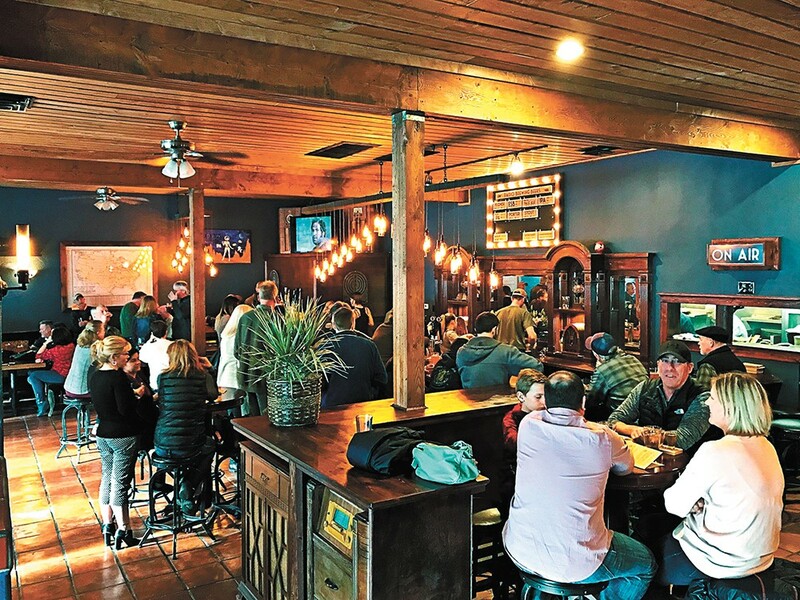 As far as other eats and drinks beyond the newcomers mentioned here, try burritos at Hill Street Depot in Kellogg, lunch and a frosty glass of Loft Honey at City Limits Brew Pub (also ask for a tour of their on-site brewery, North Idaho Mountain Brew) and burgers at Outlaw Bar & Grill in Mullan.